Last semester, Joy Ahern, Senior Adjunct Professor at Westchester Community College, implemented the CALTA21 curriculum in her Level 5 class. During the implementation, her students visited the Katonah Museum of Art twice and were given the opportunity to engage with the exhibitions and educators there. Professor Ahern wrote us a wonderful reflection about her experience using CALTA21 and the changes she saw in her students over the course of the semester. Thank you, Professor Ahern, for this thoughtful response! “For the Fall 2014 semester at WCC, I implemented the CALTA21 curriculum in our level 5 class and it was definitely a positive experience. Aside from the fact that students gained innumerous language skills, there were three main aspects of the program that exceeded my expectations. Firstly, the VTS (Visual Thinking Strategies) strengthened the students’ listening skills. It was an opportunity to fight against the desire to automatically express opinions, and to instead focus on listening. After intently listening, the VTS discussion leader had to become a human thesaurus and paraphrase their classmates’ comments. Using this technique, students realized how others can express quite surprising things, when given the chance to be heard. Furthermore, the personal journals were a combination of free writing and topic-based writing. The writing encompassed students’ past, present and future with a lot of thought provoking questions. 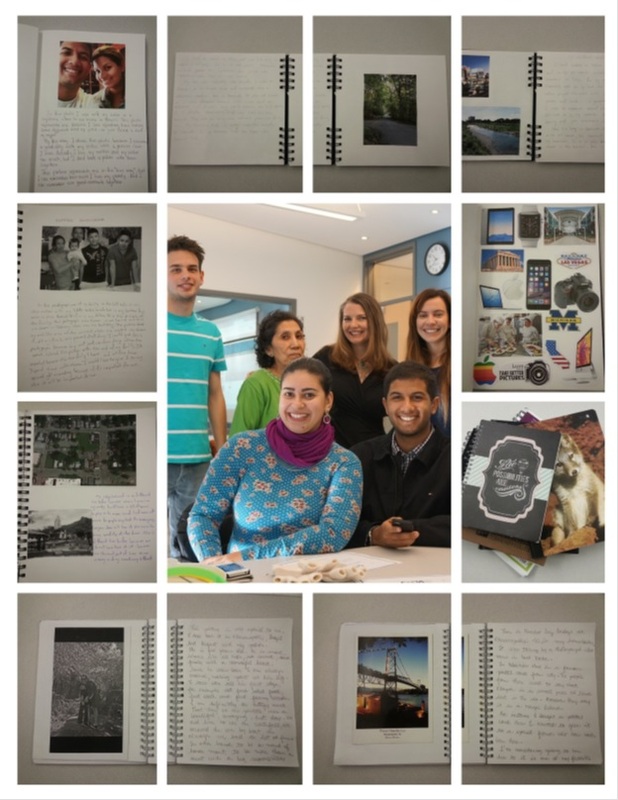 An example of this was “How has moving to another country brought out different aspects of our personalities?”The inclusion of photos (a memorable one, one of their new neighborhood, a self-portrait) all added to telling personal stories in a wonderfully intimate way.